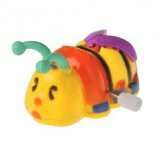 Bumblebees, honey bees, party bees and funny bees! 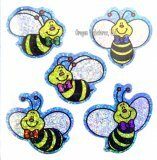 We have bee birthday party supplies, bee decorations, bee jewelry, bee stickers, stuffed plush bees, and bee party favors. 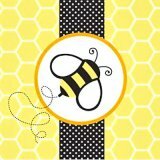 Be sure to check out the bee greeting cards, bee coffee cups, bee notepads, and all sorts of bee gifts for the bee lover and bee collector.